I’m a teacher, maker, daydreamer, traveler, wanderer, hustler, and much more. Welcome to my world. This post is an exciting milestone, kicking off the founding of my official artist website. I’ll use this blog space to journal, share sketches, ideas, ask questions, and let you into my brain and its active contents. Let’s start with the basic question- who am I? Pictures are more fun… enjoy this brief breakdown in images. I’m also a teacher. I work with the brilliant creative students of Eastern Alamance High School (EAHS - follow us here!) 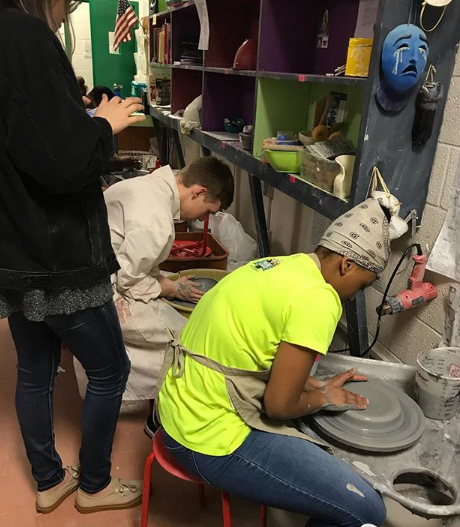 in Advanced Art and Pottery, and have guided numerous pupils to achieving Gold and Silver Key honors in the national Scholastic Art Competition annually held in Carnegie Hall, NYC. I’m an entrepreneur. 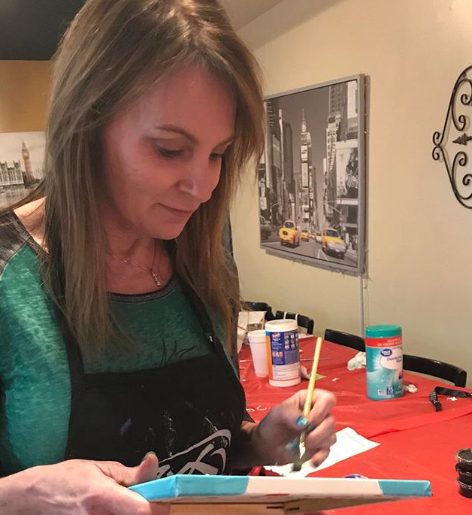 I founded Bottles & Brushes painting studio and event space in 2010, providing ‘paint parties’, private lessons and off-site team building services to the local community and beyond. I enjoy every group I get, from birthday parties for the younger set to adult groups rediscovering their creative side! I am self-taught in batik and thoroughly enjoy depicting underwater life. Recent favorite pieces of mine have involved tentacled creatures such as the jellyfish and octopus. 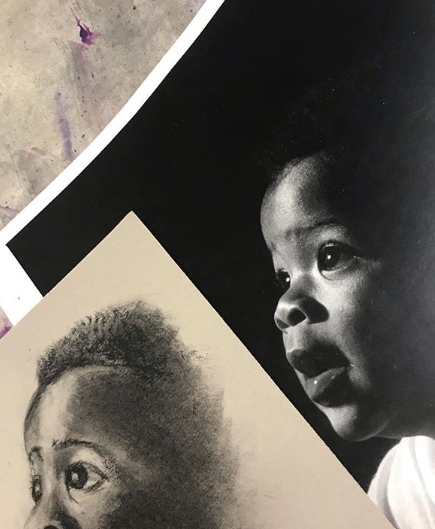 Keep up with me on my Instagram @musingaboutart and get in touch anytime regarding commissions or acquisition of existing work. Explore pages of Lauri’s sketchbook, daily musings and drawn daydreams.